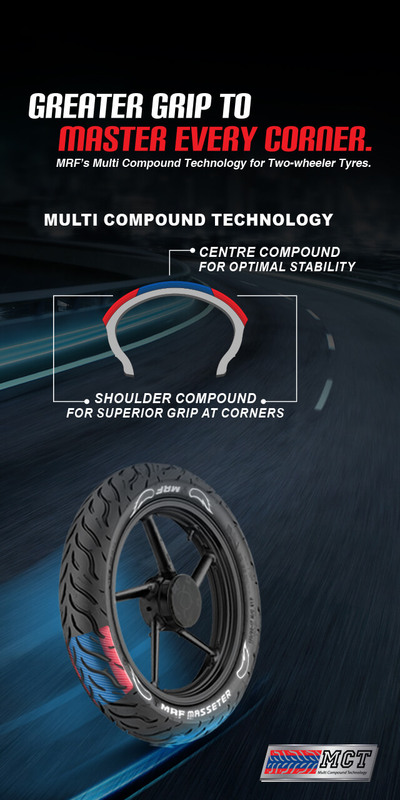 An advanced synthesis of several specially formulated rubber compounds, the Multi Compound Technology (MCT) on your Masseter Tyre is designed to perform on those long, winding roads. So when you're looking for stability while cornering, this is the best. 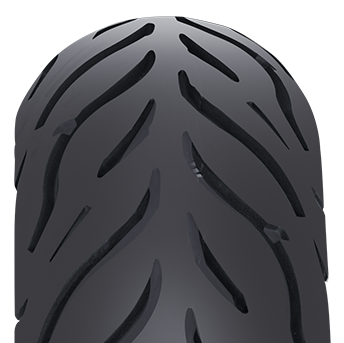 The tyre’s firm tread crown is engineered with a specially formulated soft rubber compound for vice-like grip. Its dual radii profile maximises the contact patch with the road, maintaining excellent pressure distribution and grip levels. Its distinct contoured groove tread pattern enhances water channelling. Optimised stability and handling on-road, even on advanced lean angles. So you can take every twist and turn like a pro. Excellent directional stability, for sustained high speeds on straight-line rides. Enhanced water channeling and superior wet grip delivers excellent grip on wet roads. So you can enjoy the ultimate riding experience in wet and dry conditions. Excellent braking capabilities, even at higher speeds and during emergency braking.So you’re in absolute control. Now available with an MCT variant. View the Features & Benefits. 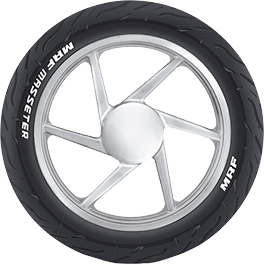 provides superior grip and enhanced braking performance. superior traction helps to achieve advanced lean angles. Dual radii profile maximises contact with the road, maintaining pressure distribution & grip. Can’t seem to find your make and model? Click here to find a Masseter that suits your ride. Know more about the L.A.P.S (Lean Angle Performance System) of the Masseter & see what other riders have to say about it.